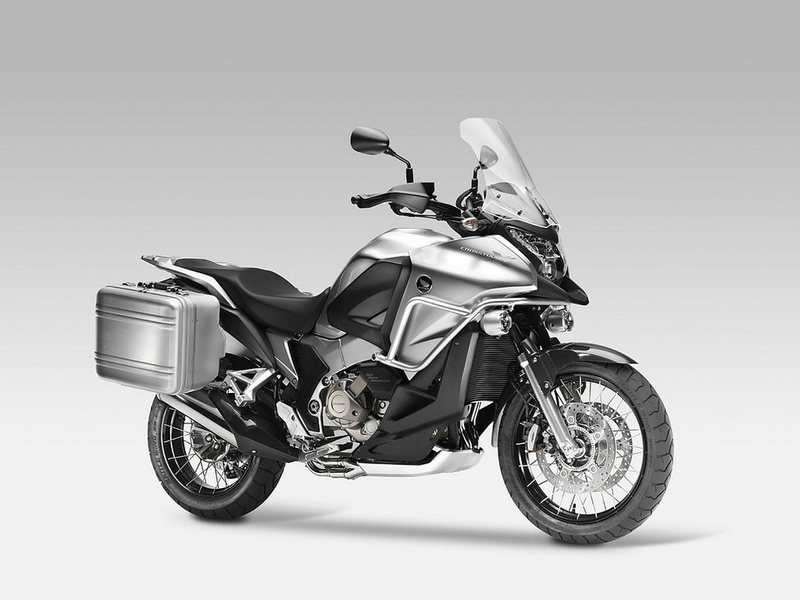 The bike that made the brand, the BMW R1200GS is about to get updated for the 2013 model year, and the Bavarians have been busy testing their new adventure bike. As such the ever questionable “spy photos” have made their way onto the interwebs, and we diligently give in to the new trend in motorcycle marketing to bring you some very clear photos of the 2013 BMW R1250GS. While the new BMW R1250GS looks ready for prime time, and is expected to be a liquid-cooled version of the now iconic GS, we imagine BMW is still surely stepping carefully with the R1250GS’s final design. One of the best-selling motorcycles worldwide, the BMW GS has defined the now lucrative adventure-touring market segment. Accordingly, BMW must be keen on making sure the new 2013 BMW R1250GS doesn’t alienate its core constituency of GS riders. However, the German brand is surely also feeling the pressure to update its air-cooled line with water-cooled motors, as well as bringing other modern features to its motorcycles. Suzuki continues to string us along with dates and teasers of its expected V-Strom replacement/update. Showing three more blurred, yet revealing, photos of the new middleweight adventure bike, Suzuki is now saying to come back to its website on June 22nd for more details on the machine. From what we hear from our European colleagues, Suzuki has sent out invites for the new V-Strom’s unveiling, which is schedule for June 27th in Croatia — a great venue, but also a week and a half away. Whether or not we’ll get a glimpse of the machine before then remains to be seen (or more teasers for that matter), but there is at least now a definitive timeline on when this madness will conclude. More photos after the jump. Rumors are still fuzzy on the upcoming release of a new middleweight Suzuki adventure bike, with there being some debate as to whether the V-Strom replacement will be a 650cc, 1000cc, or perhaps even an 800cc machine. Suzuki is pushing the adventure statement hard, which to us means that this new bike will be more off-road capable than the current V-Strom, which to us has always seemed like a sport-tourer duped into doing something it wasn’t intended to do. With Suzuki’s US website even sporting the teaser images now, this looks to be a worldwide release; and we won’t have to wait long to find out all the details, as this Saturday should bring us more information on how the Japanese brand is finally getting on this mid-life crisis bandwagon. So far the best guess we’ve heard are new look, new chassis, and new motor. More teaser photos after the jump. The Honda Crosstourer is getting closer to production, as the Japanese adventure bike was caught testing by the eagle-eyed lens of Brenda Priddy & Company. 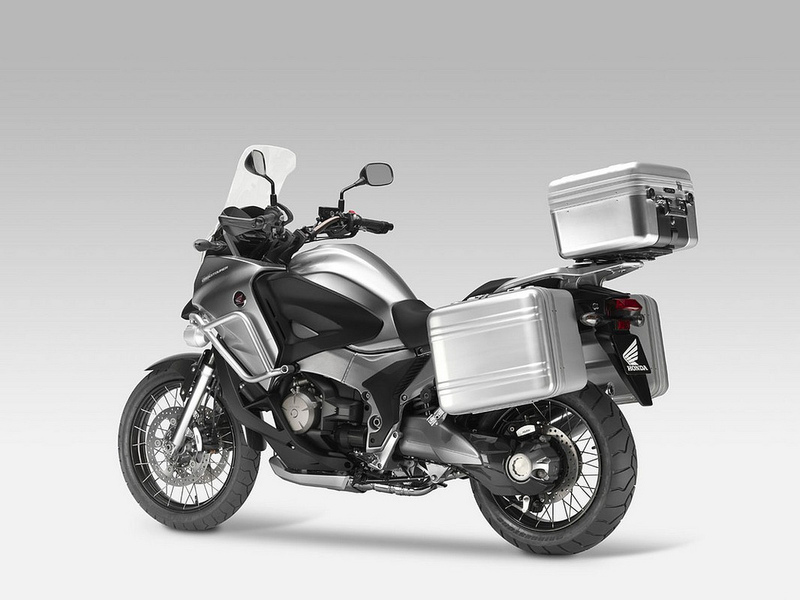 Sans some panniers, and with a cover over the bike’s crash bars/fairings, it looks like the Honda Crosstourer has remained largely unchanged from its 2010 EICMA debut. Based around the same V4 motor that can be found in the Honda VFR1200F, the Crosstourer looks to be fairly off-road capable, and will compete against bikes like the BMW R1200GS and Yamaha Super Ténéré. It’ll be interesting to see how the dual-clutch transmission on the Crosstourer fares in off-road duty. You can check out the spy shots of the Honda Crosstourer over on Edmunds Inside Line. Husky fans are going to have something to talk about for the next 8 months as BMW Motorrad VP Hermann Bohrer has confirmed that the Husqvarna brand would be dipping its toe into the street bike waters with a new bike launching at EICMA later this year. Said to have German technology with Italian design, the new Husky will be a middleweight adventure bike that features a BMW F800GS parallel-twin motor that’s been increased to 900cc in displacement, which makes it not too dissimilar from the Husqvarna Mille 3 concept (shown above) we saw last year at the Italian trade show. Although Honda likely needed to explain its thought process more fully regarding the 2011 Honda Crossrunner, the Japanese company has also put together a quick video clip with designer Yosuke Hasegawa, and his vision behind the Honda Crosstourer Concept. The more purposeful occasional off-roader, Honda’s Crosstourer Concept takes the V4 motor from the VFR1200F, and mates it to an adventure-based platform. We imagine the idea is that the Crosstourer picks up where the Crossrunner leaves off, and it is interesting to note how Honda’s naming scheme for both bikes encourages that idea. Cross for crossover concept, the Crossrunner is sportier with its “runner” designation, while the Crosstourer seems destined for more of a “it’s the journey, not the destination” thing with its “tourer” badge. Again don’t take our word for it, watch Hasegawa-san explain his creation after the jump. Not to be confused with the Africa Twin, which would be missing two cylinders, Honda returns to its rugged off-road expedition-style adventure past with the Honda Crosstourer Concept. 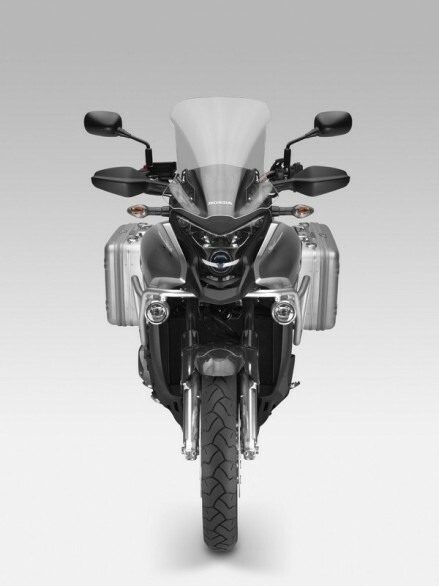 Based on the Honda VFR1200F’s V4 motor and dual-clutch transmission, the Crosstourer concept is designed to be the rugged off-roader that the Crossrunner and VFR1200F are not. Honda continues to tease its V4-based adventure bike ahead of its unveiling at EICMA next week. Finally showing off the actual lines of the machine, Honda has clearly made a cross between the CB1000R and VFR1200F in this design. Tall and purposeful, the concept clearly has the extra travel to soak-up an uncertain path, but Honda insists the bike is designed for on-road use. We dig the single-sided swingarm, but it will be interesting to see how Honda finishes off the exhaust pipe, and of course the final fit and finish of the design as a whole (the tail, like on the VFR1200F, seems to be an afterthought).